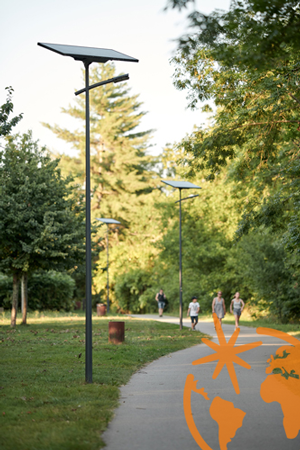 Fonroche Lighting delivers proven solar lighting solutions to meet today's sustainability challenges, making off-grid solar streetlights a viable, positive alternative to grid-tied lighting. From parking facilities, roads, bus shelters and retail & business parks to the most isolated areas, Fonroche solutions are the right choice for all your projects! 100% solar, not connected to the utility grid. High availability, no outages. Powerful illumination on a par with grid-connected systems to meet all your requirements, even on the most demanding projects! No maintenance for the first 10 years. Quick and easy installation. Designed to withstands the most extreme climates and temperatures (incl. wind loads to EN40). Meets the strongest commitments to environmental protection. Lighting performance and uniformity equal to grid-connected systems, meeting all project requirements, even the most demanding. 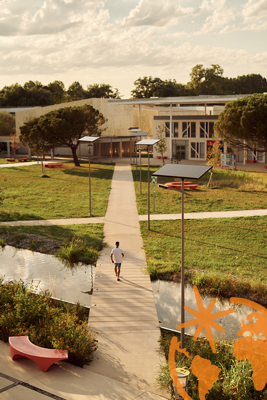 The first solar battery in the world to guarantee lighting 365 nights a year. Smart solar controller. Adjusts illumination according to remaining battery power. Remote control and monitoring system. Zero maintenance for the first 10 years. Five-year warranty. Designed to withstands extreme temperatures (–40°C to +70°C) and high wind loads (EN40 compliant). Vandal-proof system. Blends elegantly into the landscape. Ideal for all types of projects.